I seriously love Fall so much! 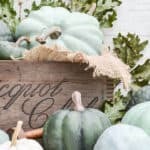 It seriously makes me so excited to think about getting all my Fall decor out (which I am planning on doing this week)! And, lets not even talk about all the traditions that come along with the cooler weather!! But, today we’re gonna talk about the area I love to enjoy and decorate the most – my front porch! I always like to make one or two new items per season for my porch! 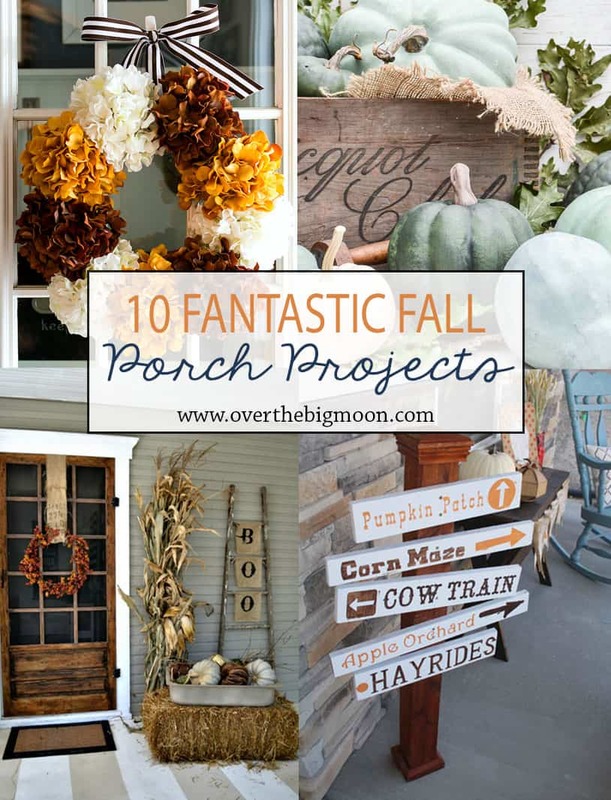 So, today I’m gonna be sharing 10 Fantastic Fall Porch Projects! All these projects are something that you can finish on a Saturday – some in an hour or two and others that may take a few hours! 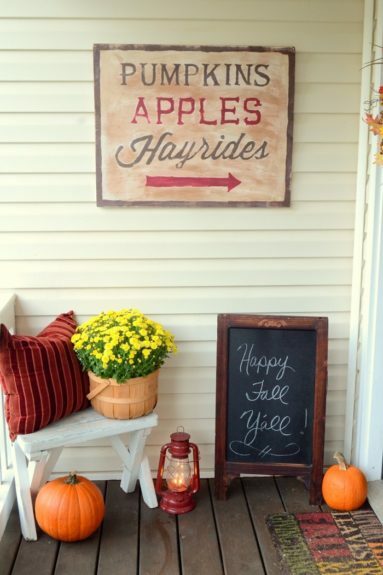 But all of them will for sure add some Fall flavor to your porch! 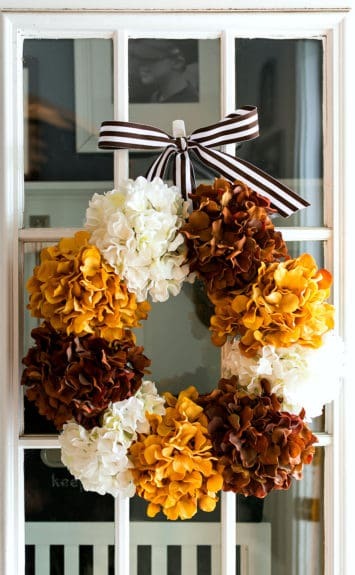 I am pretty much obsessed with these and am going to for sure be making some for my porch decor this year! They have such an amazing look about them! 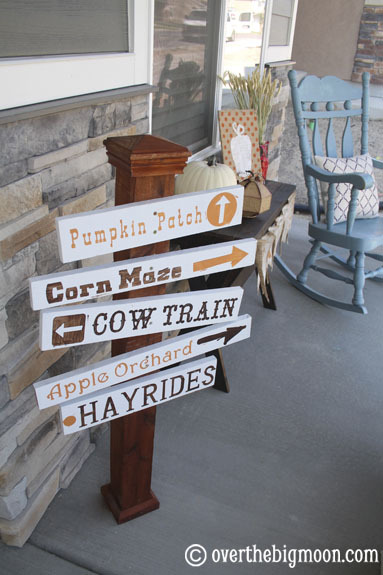 These are great, because you can easily customize them to any size and look. 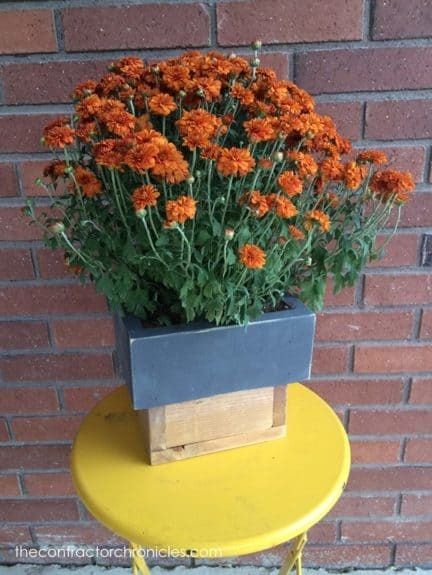 Also, you gotta fill them with some Mums, which in my option, is the perfect Fall flower! This link doesn’t have a tutorial, but I totally feel like anybody that has used a nail gun could recreate this! 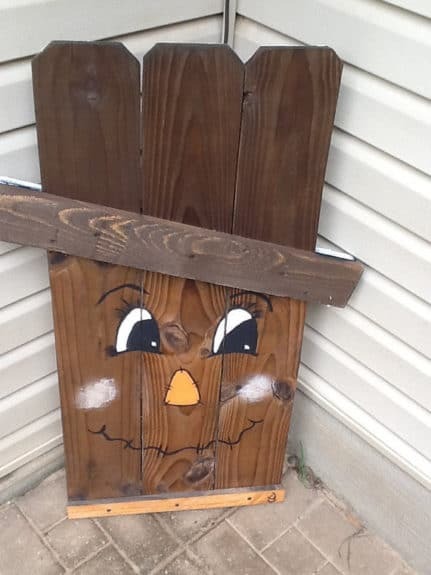 Also, the other really cool part of this project is that on the reverse side there is a snowman! I know this isn’t so much a single project, but I just loved this whole look so much I had to feature it. Your day would be spent more collecting these items and using them to decorate. 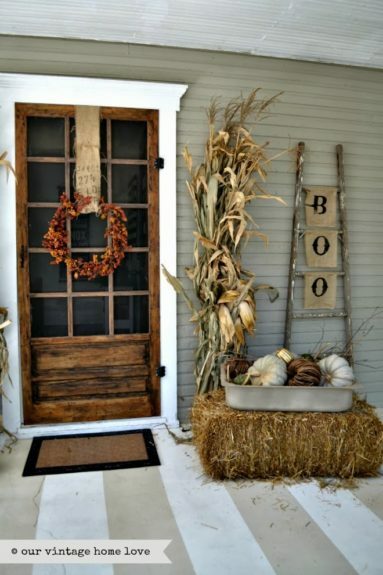 Find some corn husks, an old ladder and a hay bale and your porch will be ready for Fall! 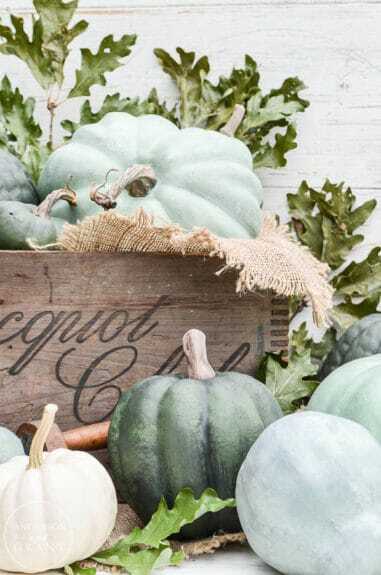 Imagine some of the Dry Brush pumpkins in the galvanized bucket!! PERFECTION I tell you! 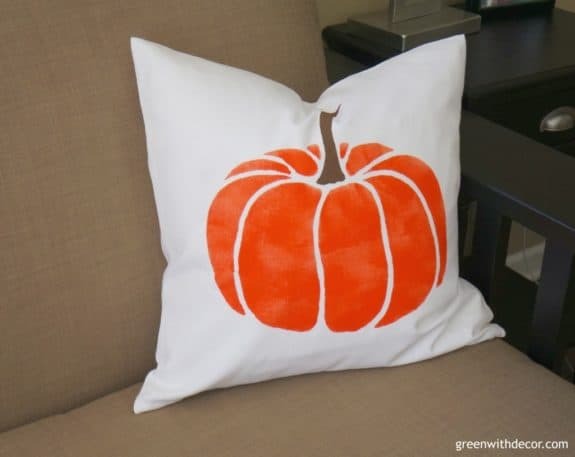 You could easily paint the pumpkin to give it some more personality. 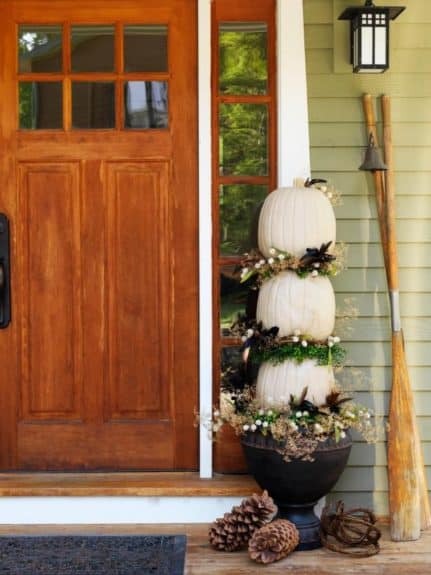 I also love the idea of doing pumpkins of all sizes, colors and shapes and lining stairs up to the front door! Seriously how great are these projects? 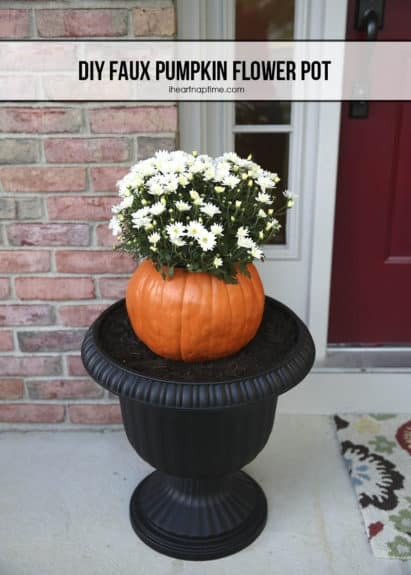 And some are soo simple, but can make a huge impact on your front porch! Thank you for all these ideas!